BorgWarner has launched its most powerful S300 aftermarket super core to date – the S300SX-E 72 millimeter (mm) super core – delivering 100 more horsepower than its next highest 69 mm model, and expanding its highly popular AirWerks® S300SX-E super core assembly series. The new AirWerks® S300SX-E 72 mm super core maintains the same compact size and near identical ultra-fast response time, enabling customers to upgrade their 69 mm assembly with the new product, which can reach a maximum of 1,100 horsepower. The powerful super core features the S300SX-E series' premium enhancements for improved durability and aerodynamics, including a 360-degree thrust bearing, integrated speed sensor port and pre-machined boost port. As with all of BorgWarner's assemblies, the 72 mm model fits into multiple turbine housing options, allowing customers to select the right housing size for their performance application, from road-racing street cars to heavy-duty diesel trucks. 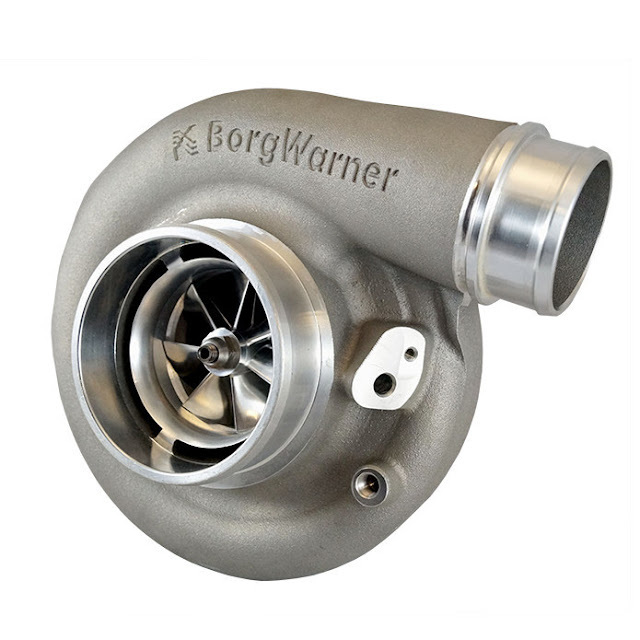 "We are excited to release this significant addition to our fastest growing segment of turbocharger performance products for our aftermarket customers," said Michael Boe, vice president and general manager, BorgWarner Turbo Aftermarket. "We saw tremendous success with the launch of the AirWerks® S300SX-E 69 mm super core assembly, which was then our most powerful model. We expect the same great response with the introduction of the new 72 mm product because we have again upped the part's power capabilities and durability while retaining package size and response time." After recognizing market demand for a more powerful super core, BorgWarner leveraged its in-house technology development expertise to create the S300SX-E 72mm super core assembly. The company utilized computational fluid dynamics (CFD) software to develop the technology and test that it achieved desired performance targets before physically producing the part. The CFD software also is used to create turbochargers for the original equipment industry, and BorgWarner produces the AirWerks® S300SX-E series assemblies in the same facility and on the same manufacturing lines as its original equipment (OE) products. Through shared technology expertise and manufacturing resources, the company meets overall OE standards for performance, quality and reliability on all its turbo products.